When you're on the road and far from home, you need a place to stay. Your options are numerous — hostels, bed-and-breakfasts, campgrounds and more — but for many travelers, the choice comes down to two types of accommodations, hotels and motels. Each serves its purpose and has its price, and the one that is better for you depends on what you need, how much you can spend and how long you'll be there. "Motel" came along much later, in 1925, according to Merriam-Webster. It blends the words "motor" and "hotel" and is meant to describe an establishment that provides some, but not necessarily all of the services associated with a hotel. 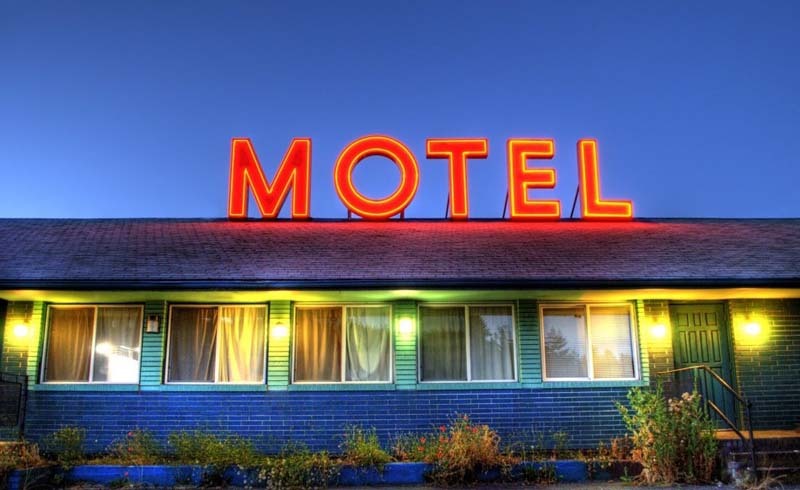 Motels, according to San Jose State University communications professor Andrew Wood, are an entirely American phenomenon: They originated as inns along the country's first major motorways, offering rest to weary explorers and families on vacation. Hotels and motels differ in layout and construction. Hotels can contain hundreds of rooms and several floors; they generally have staircases, elevators and internal corridors that lead to the rooms. Motels commonly have a one- or two-floor layout and guests access their rooms directly from the parking lot. Some hotels, especially those in the luxury-accommodations realm, exhibit specific styles of architecture and design, such as the Waldorf Astoria of New York. Motels typically have a more utilitarian construction. Hotels and motels employ varying types of workers. Hotels, for example, might have receptionists, concierges that offer advice and directions to local sites of interest, and bellhops that bring luggage to guest rooms. They also might employ chefs, housekeepers, parking valets, doormen and elevator operators. A manager, or several, might be on duty to supervise employees and help resolve problems. Motels employ a comparatively small number of employees, typically receptionists and housekeepers. For very small motels, receptionists also might perform housekeeping and laundry duties. In general, hotels offer a wider breadth of services. These might include room service, an on-site restaurant and cocktail lounge, laundry and on-site recreation and relaxation such as indoor swimming pools, exercise equipment and spa services, such as hot tubs and masseuse service. Some hotels double as resorts, offering their guests extensive entertainment options such as casinos and theaters. Motels traditionally offer fewer services, but some have swimming pools and a complimentary light breakfast. Hotels and motels also differ in price and often in the duration of stay for guests. Hotel accommodations commonly cost more, though location is key; a four-star hotel in a small or mid-sized city might cost far less than a lesser motel in a more expensive area of the country, such as New York or Los Angeles. 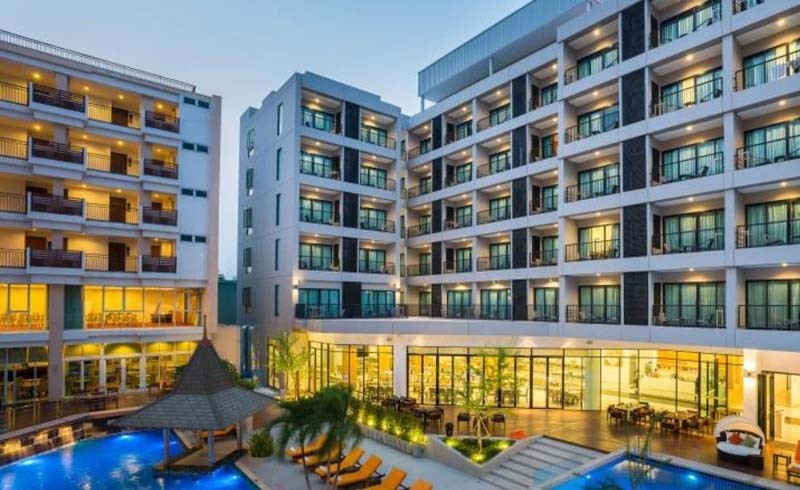 As for duration, hotels are built for longer stays; many are located in cities with attractions in walking distance and some, called extended-stay hotels, are built for guests who intend to stay for weeks or months. Motels, by design, offer shorter-term accommodations: Many are located in remote areas and provide travelers with a place to sleep for a night or two. An exception would be a long-term motel guest — someone, perhaps, who lost a home to fire or is new in a particular city. He might live there for several weeks or months while arranging for a more permanent home.